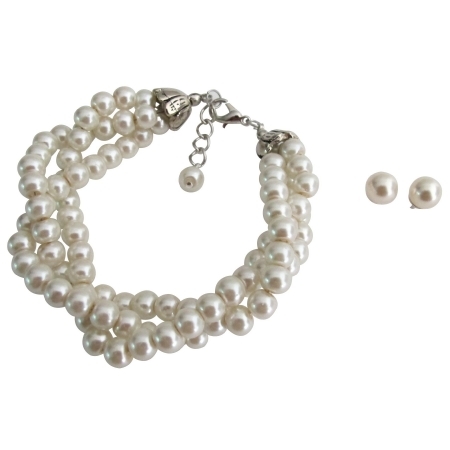 You are looking the Twisted Pearl Three strand Bracelet is loaded in Ivory pearls. The Twisted Three Strand Bracelet & matching Stud Earrings adds the depth & a splash of color to the wrist & ears is a great accessory to wear for a formal event or to dress up an outfit. Material Used : Ivory pearl 6mm & 8mm three strand twisted pearl bracelet with matching Ivory Pearl 8mm stud.